Play is and should always be an essential part of every child’s day – at home and at school. Play helps improve cognitive abilities, social skills, emotions and communication, and increases a child’s creativity. One simple way to integrate play that doesn’t look like “traditional play” is through the use of sensory bins. But sensory bins can be messy. And we do need to update them regularly with new activities and fillers. I then started branching out to other types of sensory bin fillers and discovered an entire world outside of rice and beans. Sensory bins are great for interactive centers, doubling as incredible fine motor practice. 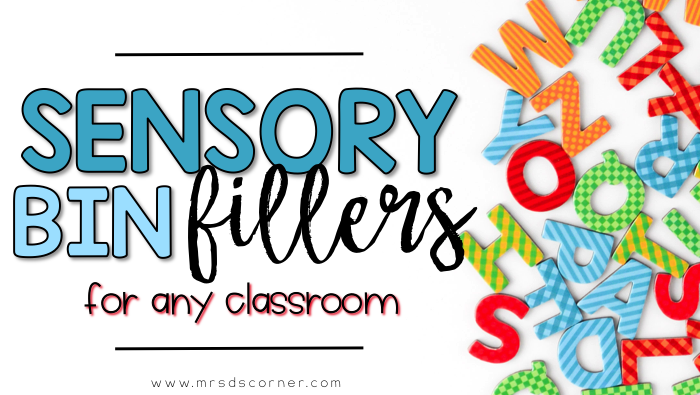 Sensory bins are also a great way to introduce students to new, safe sensory experiences that they may otherwise not get to encounter (or want to encounter). 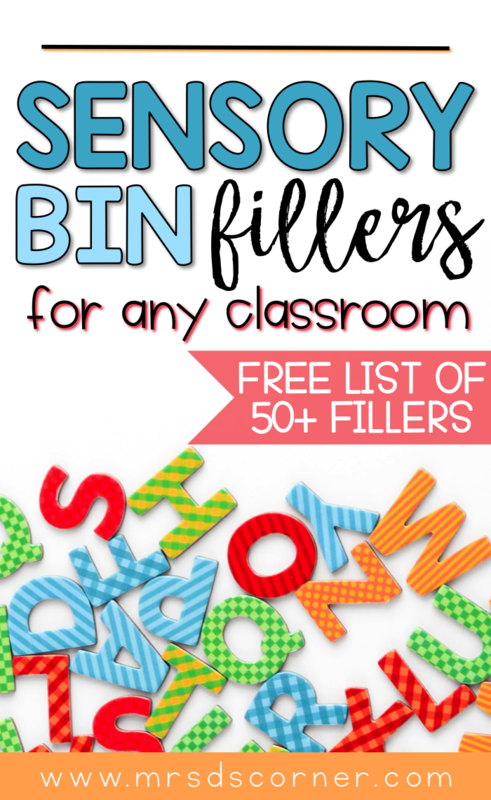 Switch out the fillers weekly, monthly, with each unit… or use shoe-sized plastic bins to create smaller sensory bin opportunities for your little learners. Bins don’t need to be elaborate to be effective. They might be messy, but sensory bins are 100% worth the effort. 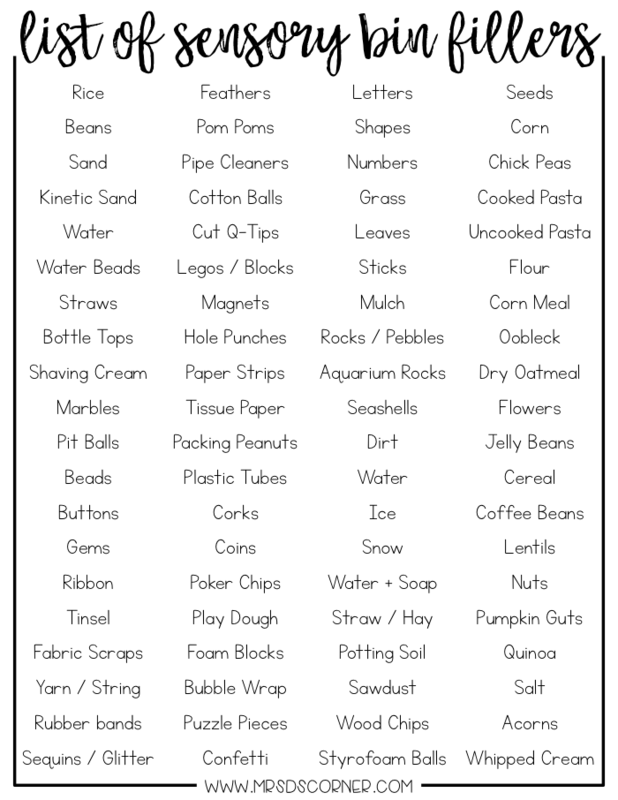 I am very interested in sensory bins and any other items used in a special ed classroom.